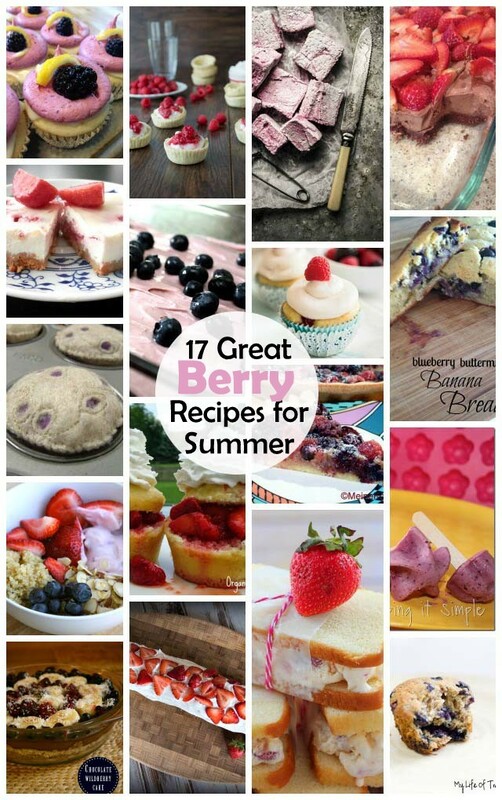 Pieces by Polly: 17 Berry Recipes for Summer and Weekly Block Party! 17 Berry Recipes for Summer and Weekly Block Party! We've got lots of raspberries on our hands, so I was really excited to see berries were the subject of this weeks features! I hope you have had a fabulous week. It's Marissa again as your host for this week's Block Party. I love Summer first because it just seems like you get to spend more time with the people you love but also because of the berries! I have been gobbling up all sorts of berries non-stop and I don't plan on stopping any time soon. Here are some of my favorite berry recipes that have been linked up over the last few weeks. What have I been up to? Well if you have caught me on Instagram you know that my little guy has started teething so I feel like that's all I've been doing. But I have managed to squeeze in a few projects and a 300$ gift card giveaway that I'd love you to check out! We’d love it if you pinned the Berry Round Up image above!